Non hazardous – Products that are non-hazardous and food safe in use in accordance with the latest health & safety legislation. Please refer to our independent Test and Safety Information CD. User Friendly – Products that do not irritate or sensitise the skin of users. Economic In Use – Our product performs effectively at higher dilution rates than other products thus reducing the cost of the applied production solution. Ease of Use – Product can be applied to virtually all contact surfaces such as plastic, stainless steel, bedding and uniforms without the risk of damage or degradation to the contact surface. This feature eliminates the requirements for multiple products. 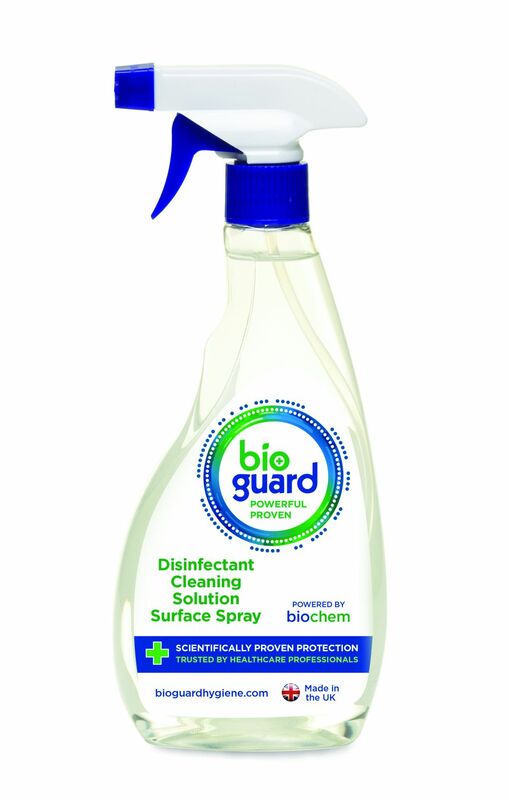 Combined Cleaning & Disinfectant Action – Product has combined cleaning and disinfection capabilities eliminating the need for separate products for the cleaning and hygiene procedures. Superior Cleaning Action – Products have an independently proven superior cleaning action when compared to other leading European brands. *For more information on the extensive testing undertaken please refer to our Independent Test Safety Data Information CD or contact us! Environmentally Friendly – Environmental audits by leading European Authorities have concluded that Bioguard infection control products are non-toxic, biodegradable, and non-cumulative in the eco-system therefore over coming concerns regarding product disposal and accidental spillage.